The RTC is going neon. Well along the new bus routes anyways. 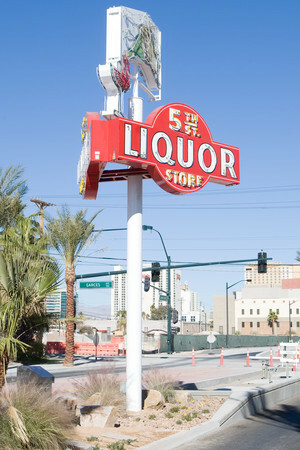 Seems they are teaming with the Neon Museum and others to restore neon signs from our collective past and use as transit markers on their new routes. Downtown Las Vegas has developed into a hip place to hang out and now the Regional Transportation Commission is hoping to play off the newly chic neighborhoods. Like downtown, the transit agency aims to reinvent itself; it's working to shake the stigma attached to hopping on a public bus. The latest effort comes in the form of neon signs -- some dug out from the old neon boneyard and others newly built. They adorn three stops along the agency's trendy new ACE transit line. 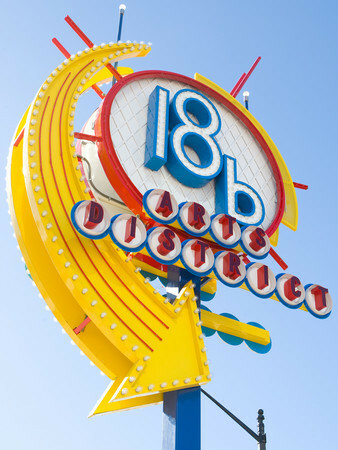 In the Arts District, a massive sign reading "18b" shadows the transit stop. For those of us who aren't as cool as we think we are, 18b means 1800 block, which is how the artsy crowd refers to that area. 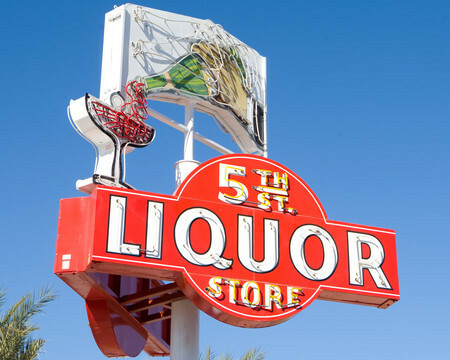 Down the street is the retro sign from the 5th Street Liquor store and, across from the Las Vegas Convention Center, stands the original Landmark casino sign -- reborn on the same spot of the old establishment. "It's an interpretive, artistic way to illuminate the route for the ACE," said Jacob Snow, general manager of the commission. "We want to make it cool looking and make it a positive experience." 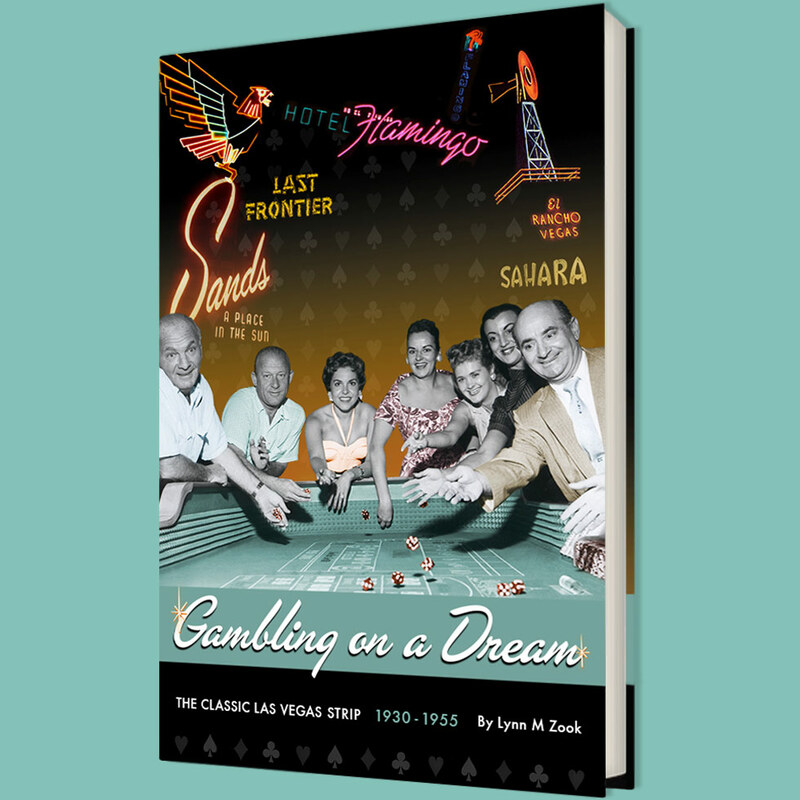 Downtown once had a reputation for prostitution, cheap shrimp cocktails, homeless people and cheesy casino giveaways. It has re-emerged as a gathering spot for the younger crowd with trendy bars that offer no gambling. The redevelopment has even surprised Las Vegas natives such as Snow. Now, Snow is doing the same with the bus system. Over the years, the agency has gradually faded out its purple and green, exhaust-billowing Citizens Area Transit buses, replacing them with the gold single and double-deck RTC vehicles. In March, the transportation agency will unveil the new ACE system. Passengers purchase their tickets at the stops, which, combined with the bus-level curbs, will allow a more convenient and quicker boarding process. The new vehicles are the closest Las Vegas will have to light-rail. "This is not your grandfather's bus; this is not a toaster on wheels," Snow said. So in introducing this new line that will primarily serve downtown and the Strip, why not draw more attention to it with the old-school signs? "They add native history," Snow said. "We don't have a lot in terms of keeping our history." In addition to the neon bus stop demarcations, the agency has chosen a handful of artists to create pieces that will be installed on each bus shelter's eight panels. The idea to install cool signs was actually born years before downtown became popular again. Snow credits former Clark County Parks and Recreation Director Pat Marchese, who suggested raiding the boneyard for signs that could be erected in the rights of way of a planned light-rail system. The light-rail fell to the wayside, but that didn't mean the RTC should do the same with the signs, Snow said. The ACE project is still under its $60 million budget, which means Snow and his associates may head back down to the boneyard, a Las Vegas Boulevard property where the signs are stored. He figures he might be able to afford three more signs that would be installed on the Grand Central Parkway stretch of the ACE route. "This is going to be a lot of fun," Snow said. And if his strategy works, Las Vegans might think the same about riding the bus.